What's the Rockefeller Foundation Doing for Women's Advancement in Corporations? Is women’s empowerment moving closer to center stage at the Rockefeller Foundation? Will there someday be a Rockefeller Sisters Fund to complement the Rockefeller Brothers Fund? It’s hard to tell, but news that the foundation is starting a new initiative to address gender equality in the workplace is definitely big. With the ambitious goal of 100 female CEO’s in the Fortune 500 corporations by 2025, this new initiative is more evidence that the agenda for women’s empowerment is a higher priority for the foundation. On May 12th at the Forbes Women’s Summit, Rockefeller Foundation President Judith Rodin announced the foundation's 100x25 Initiative, which aims to impact gender equality by raising the number of female CEOs of the Fortune 500 companies worldwide. Currently, only 21 women hold CEO jobs at the top 500 companies in the world. At the same time, nine in 10 Americans are unaware of this stark inequality at the highest ranks of the corporate world. As part of this initiative, the Rockefeller Foundation plans to make this research widely known, and to use it to foster big changes to workplace norms around male and female leadership. Heft or Hype: How Much Do Women Leaders in Philanthropy Really Matter? Along with the announcement, the foundation is releasing extensive new research about how far we are from women’s equality in the workplace, including the fact that 60 percent of publicly listed companies having no women on their boards. The initiative also spotlights companies successfully advancing gender equality agendas, and hopes to create a “pipeline of women” who will push to obtain higher-level jobs in corporations. The Rockefeller Foundation has been investing in women's empowerment since the first wave of feminism in the 1970s, when it, along with other large foundations like Carnegie and Ford, began funding women’s studies programs in universities, and other efforts to research and address women’s equality. But it's difficult to know the extent of the foundation’s investments aimed at women. Like the Gates Foundation, the Rockefeller Foundation spreads grants aimed at women throughout several of its funding areas, and to greater and lesser degrees in each area. One thing is for sure: The Rockefeller Foundation is a notable funder of research and initiatives aimed at closing the gender gap. The foundation has also supported many of the major convenings for women’s equality, including the recent Women Deliver conference of the United Nations, which it supported with a $100,000 grant through its Advance Health Initiative. What's the Clinton Foundation Doing for Women's Empowerment? The foundation also gave $350,000 toward the costs of “curating and executing the seventh annual Women in the World Summit to be held in New York City, April 2016 and of hosting a luncheon around the launch of the Foundation’s 100 by 2025 campaign.” This money came from the President’s Discretionary Fund. Other supporters of the Women in the World Summit included Toyota, Merck, Flex, The MasterCard Foundation, Microsoft, PepsiCo, Ford Foundation and Thomson Reuters. 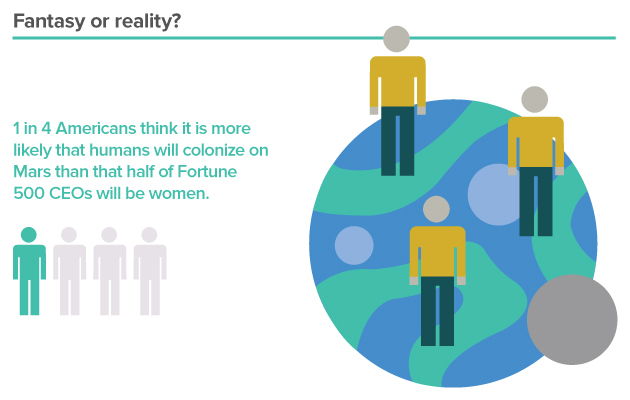 So it appears the Rockefeller Foundation is coming at the issue of gender equality in a number of ways. It’s unclear how much money over time the foundation will be investing in the 100x25 Initiative, so we will be watching closely to see how this new initiative plays out for the legendary philanthropic foundation.